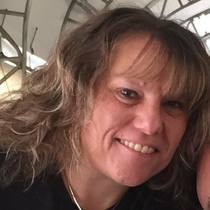 Lisa Ann Lawhorn, 51, of Germantown, MD passed away on July 22, 2018. Daughter of the late David and Charlene Brookbank Smith. Survived by her husband, Timmy Lawhorn, as well as her son, TJ Lawhorn and daughter, Taylor Lawhorn. A Memorial Service will be held on Saturday, July 28, 2018 at 2pm at Greenridge Baptist Church, 21925 Frederick Rd., Boyds, MD 20841. There will be a reception at the church immediately following the service. In lieu of flowers, donations may be made to the family's GoFund me page: https://www.gofundme.com/my-wife-and-best-friend, or in donation bins at the church.